Full coverage cups ,custom fit to any size. keeping everything in place. Highly comfortable and Free breathing material , The seamless air bra features breakthrough body-form technology that eliminates unsightly rolls and bra lines forever. Air Bra is a revolution in the world of undergarments and has been proven the best slimming and lifting bra till date. This Seamless Air Bra has especially been designed to give you the required support and comfort, freeing you from the endless pain of slipping straps, painful hooks and bulging edges. . 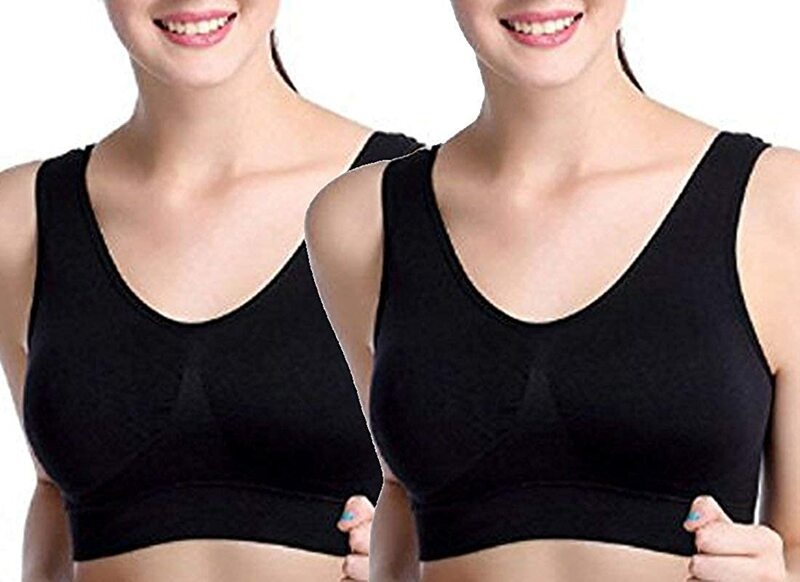 This product is basically a non-wired air bra made of stretchable Cotton and spandex material with wide elastic band that gives excellent support for your active lifestyle, providing greater ease & freedom of movement. . This bra is provided with a fine mesh at the inner bust edge, and this improves air flow thereby providing you a lot of comfort. . This Air bra is as light as air and it targets all the trouble areas women want to fix especially embarrassing back fat and shapeless cups. . Air bra hides bulges, bumps and rolls thus making you look tight and trim. .